Product prices and availability are accurate as of 2019-04-11 14:02:05 EDT and are subject to change. Any price and availability information displayed on http://www.amazon.com/ at the time of purchase will apply to the purchase of this product. Large, graceful and dramatic are just a few ways to describe the Weeping Willow Tree. Known for its open crown, the long, slender leaves dance upon the ground-sweeping branches creating a weeping canopy. 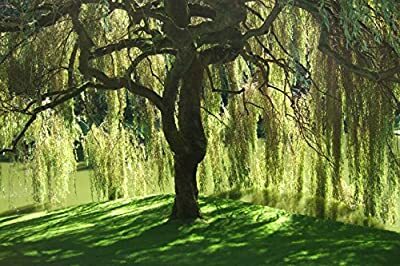 The Weeping Willow Tree has a beautiful spreading canopy making a great shade tree for large lawns, in parks and grows especially well near water or low lying areas. This is one of the fastest growing shade trees and at maturity stands 30'-50' high with equal spread. 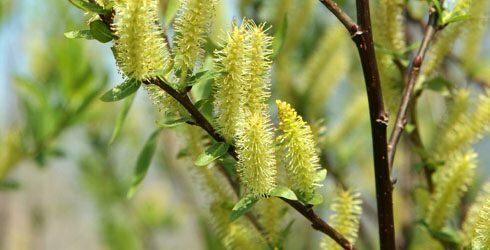 Weeping Willow are easy to grow and widely adaptable trees but do grow best in rich, moist, well-drained, acidic soil receiving full sun to partial shade. 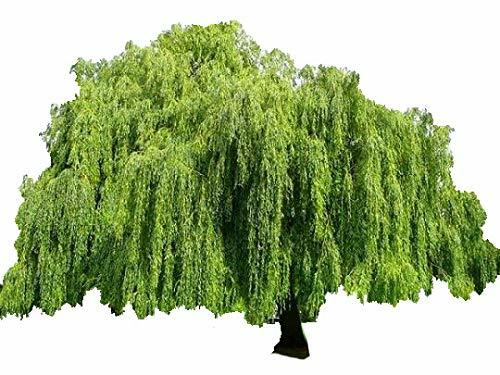 Weeping Willows are widely adaptable trees but do grow best in rich, moist, well-drained, acidic soil receiving full sun to part shade. Hardiness Zones 5-9 Tip: Potted dormant perennials can be kept in a well-lit cool/cold area (ie. Garage, shed, even in a protected area outdoors) until ready for spring planting. Do not allow them to completely dry out. In winter, plants will be shipped dormant. 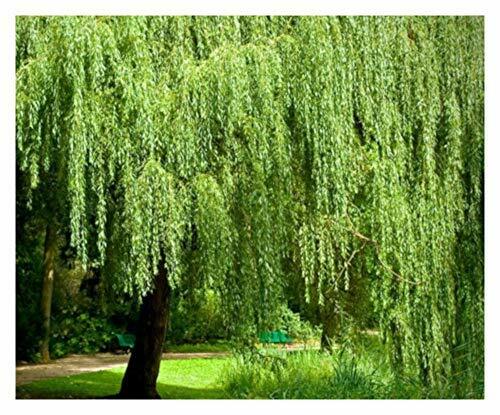 You are purchasing one Weeping Willow tree, in a one gallon trade pot 3 - 5 feet tall. In stock and ready for immediate shipping. 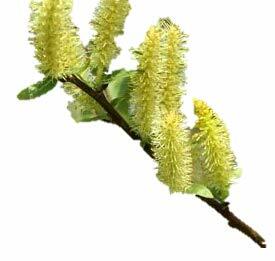 The Weeping Willows are fast growing. Mature size (H x W) 30'-50' X 30'-50'. Images of Mature trees. In winter, plants will be shipped dormant. Healthy, hardy tree with established roots. This tree will make a medium to large, shade tree. Easy to care for and maintain. Images of mature tree. All orders to California will be shipped bare root in accordance with state regulations.